AFRL Materials Researcher Dr. Shin Mou shows off the laboratory’s new Molecular Beam Epitaxy chamber, a highly-specialized piece of equipment enabling the growth of semiconducting materials for a new breed of lighter, smaller, more agile electronics. 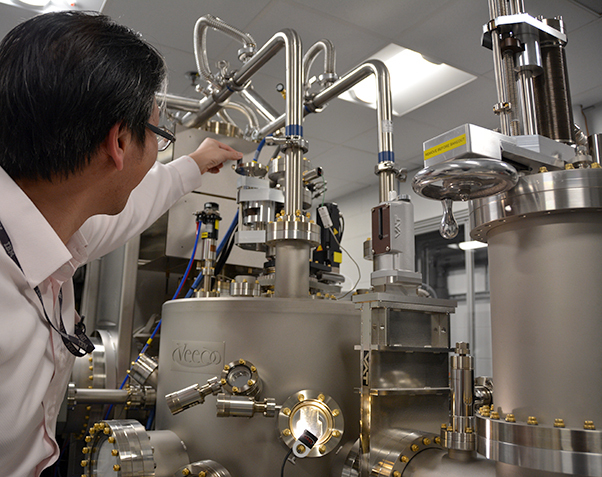 An emerging AFRL laboratory capability is charting a new course for electronics innovation. 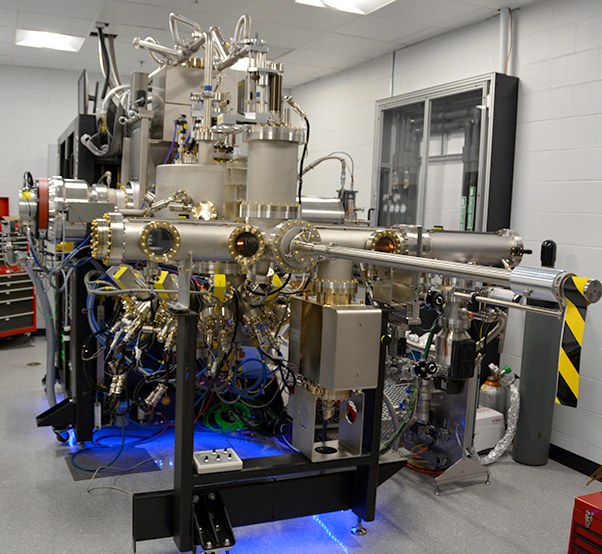 The new Molecular Beam Epitaxy chamber is at the center of AFRL’s Oxide Molecular Beam Epitaxy laboratory. 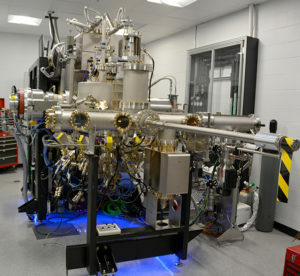 This highly-specialized piece of equipment enables the growth of semiconducting materials for a new breed of advanced electronics.